You can help kids who are bereaved. Dr. Gloria Horsley talks with Joe Primo of Good Grief. He provides programs to kids, teens, and young adults who’ve lost a parent or sibling. 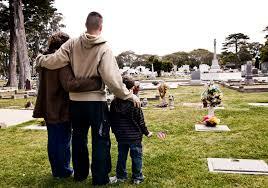 There are also groups for parents who have undergone a child loss. They work with 150 communities throughout New Jersey and raise awareness while advocating for the whole child. There are thousands of bereaved children in the northeast, and they need facts, honesty, and support after a loss. Caring adults who support them and talk openly is critical. Kids need to be able to express themselves freely without feeling pressured to talk. Ultimately, grieving kids need to know they’re not alone but at the same time know that the people in their lives who love them continue to love them. Communication is critical. It sounds cheesy, but love goes a really long way. Kids often get a lot of pressure to talk because that’s what some adults think everyone “needs.” However, everyone grieves in different ways. People get scared of the “should nots” but it shouldn’t be that way. That immobilizes grief. Focus on what you should be doing, which is largely listening. Some children play out their emotions. 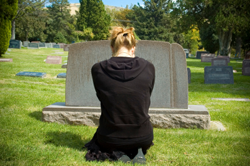 The human experience includes grief—it’s not a pathology. Being real is what speaks to children, and they’ll pick up on it. If adults are real, kids will trust you. Being a philosopher isn’t real to children because it doesn’t mirror their experience. How is the experience impacting the child through the process? You don’t need to tell kids “This is what you need to do,” according to Primo. Instead, help them make good choices for themselves, but remember there’s no one way to grieve.